Have You Ever Considered the Possibility of Having a Private Water Supply for Your Home or Garden? Even though you currently may be obtaining your water from a local authority, it is still feasible and viable to have your own well or borehole for garden irrigation and domestic use. The main advantages of a private water supply are that the water is free of chlorine and fluorides and up to approximately 4400gpd (20 cubic meters) can be abstracted for domestic use without a license being required. Simply contact us advising of your requirements and after carrying out studies and an appraisal of the geological conditions in your area, we will provide you with an estimate for either drilling a new borehole, or sinking a new well. Once the borehole drilling process has been completed, pumping equipment will be installed and water samples taken and analysed advising, of any water treatment equipment that may be required to provide a wholesome supply. As we also offer borehole servicing, you can have the confidence that your project is in safe hands now and in the future. In many instances where you are simply wishing to use the water for garden irrigation no form of water treatment should be necessary. However, we are able to offer the complete drilling and well restoration package from drilling new boreholes and wells, refurbishing of existing supplies, to installation of vital pumping equipment and water filters, so that you can be reassured that your project will be completed with the minimum of fuss and disturbance. Our drilling and well refurbishment experts are trained to make this possible. What is a Well or Borehole? 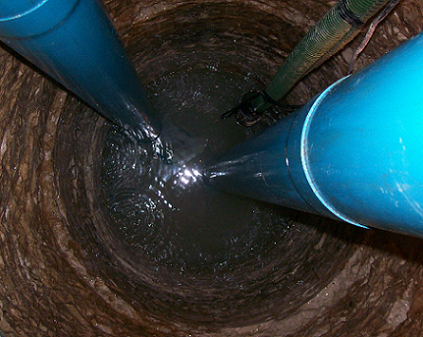 A well or borehole is a means of tapping into various types of aquifers to gain access to groundwater. Borehole drilling is carried out by machine with the diameter being approximately 4 inch for domestic boreholes and up to 6 or 8 inch for commercial / industrial boreholes. A well is relatively large in diameter from 3 to 4 feet and sometimes wider. It is usually sunk by hand utilising bricks or concrete rings. Boreholes are generally drilled deeper to gain access to the lower aquifers, whereas wells are generally sunk shallower to gain access to the higher aquifers. We are one of the very few remaining companies in the United Kingdom that are still actively engaged in borehole drilling, deepening, cleaning, refurbishing, restoring and reinstating hand dug wells for farm, irrigation and domestic water supplies. We are passionate in giving you and your family the opportunity of having your own private water supply. An aquifer is best defined as a permeable stratum (porous subsoil) that stores groundwater. Imagine a sponge that soaks up liquid it’s a great analogy. When a hole is sunk into this permeable stratum to a certain depth, water will begin to flow in. The surface of the water that accumulates in the hole (well or borehole) is the water table. Groundwater is derived from rainwater that infiltrates into the ground emerging from aquifers at springs or rivers, or can be pumped from wells or boreholes. Watch this video which simply explains how groundwater is formed and why it is considered the hidden source of life. This Water Cycle Animation video clearly explains the water cycle from precipitation to condensation and how fragile this cycle is. Please view our FAQ for further details or use the contact us form. 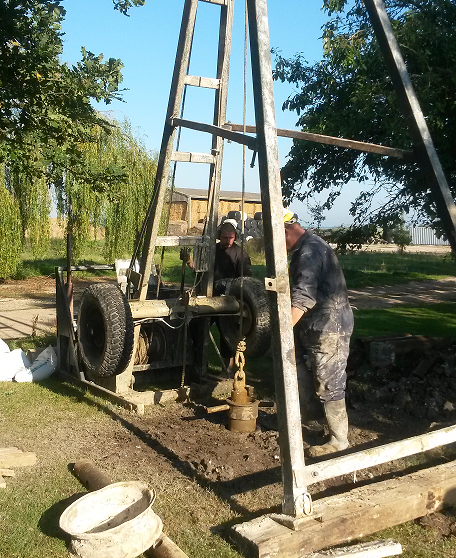 We have also produced various blog pages regarding some interesting borehole and well restoration projects, together with recent new boreholes drilled. We also explain in detail the nature of our borehole services to provide you with a useful reference of what is genuinely achievable. 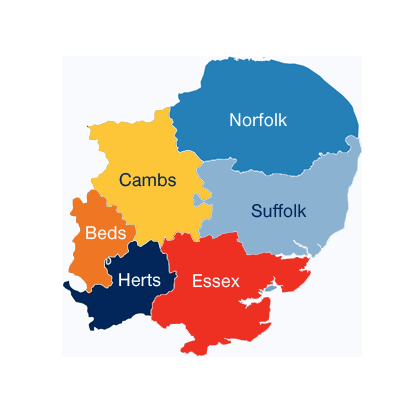 We offer an installation and maintenance service for all our products and our service area covers East Anglia including, Ipswich, Suffolk, Essex, Cambridgeshire, Hertfordshire, Norfolk, parts of Lincolnshire and Sussex.